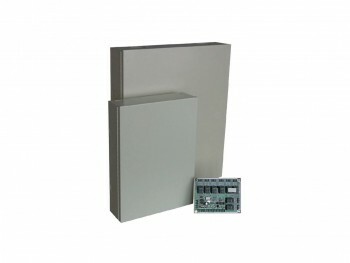 The Monitor XL™ Elevator Control Package provides powerful floor access control supporting both Wiegand and magnetic stripe card technologies with a maximum of 64,000 cardholders. Each package consists of three components. The Elevator Control Module is the main controller used to control the readers and send relay commands to the various relay modules. The Elevator Relay Module controls up to eight floors at a time and can monitor eight call button inputs. The Elevator Filter Module provides clean data and power from the elevator cab to the control module for improved noise immunity.